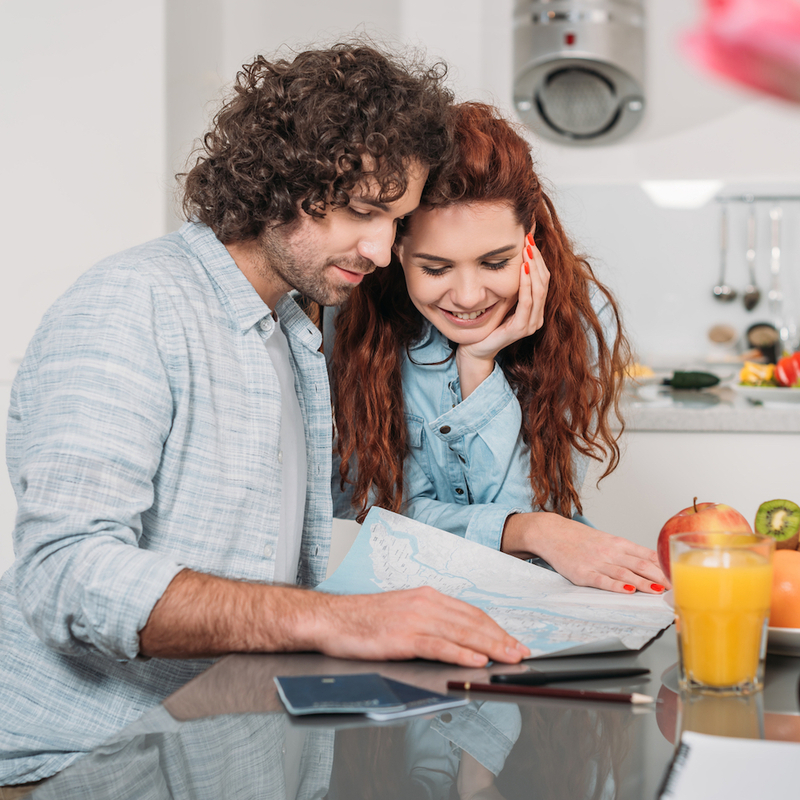 Picking a honeymoon destination is one of the most exciting tasks on any couple's pre-wedding to-do list, but deciding when to go on the joyous first trip as newlyweds is an equally important decision that often gets overlooked. Tradition had it where couples would embark on their honeymoon immediately following the wedding, but recent trends show that couples are delaying their trip by days, weeks, and even months after the big day. While there may be no wrong time to take a honeymoon, it's worth weighing the benefits and considerations of all options to see which choice best suits you. Here are some thoughts to kickstart the process. There may be no greater feeling than riding the wave of your wedding's bliss straight to the airport for a romantic getaway with your new spouse. 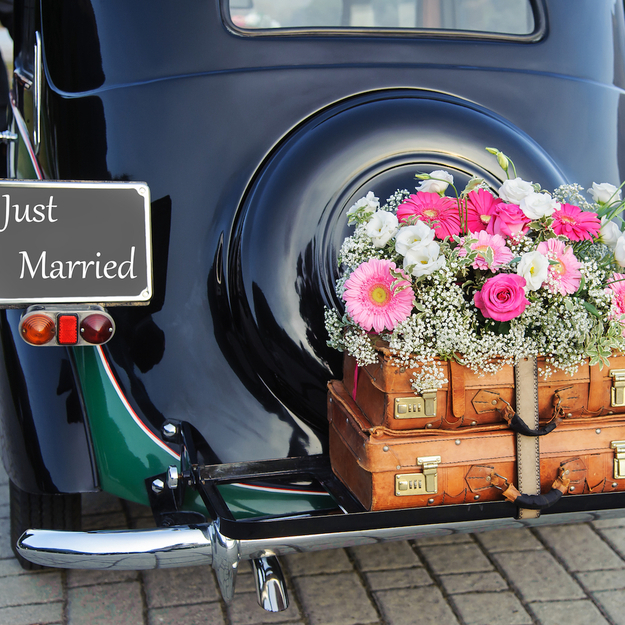 The vintage car send-off, the first-class upgrade hand in hand, waking up in a hotel bed in a foreign destination and reveling at how wonderful it is to finally and officially be Mr. and Mrs. - it's no wonder this has long been the most popular time to head off for your honeymoon. And let's face it, after all the planning that went into your wedding, you'll be more than ready for a vacation as soon as the event wraps up. Jetting out for your honeymoon allows you to skip tedious post-wedding tasks like returning tuxedos, settling with event managers, or overseeing the departure of any visiting guests. Escaping to an exotic destination is the fastest route towards sublime relaxation, and quite simply one of the most momentous and celebratory occasions that marriage has to offer. Plus, you get to wear the newlywed badge with supreme pride everywhere your honeymoon may take you. Rolling the wedding party right into the honeymoon can be blissful for some, but tiring for others. Months of preparation culminating on one single day may be exciting enough, and taking that climax to another heightened level just isn't for everybody. Some couples really value personal time to reflect with friends and family in the days immediately after their wedding, and these moments might be stale by the time you get back. There's also the dread of having to leave your own party early to catch a flight just as the crowd gets loose. Nobody should have to rush out of their own wedding reception. This option allows for a much-needed exhale. Take a bit of time - not too much, and not too little - to separate the wedding and honeymoon, allow each occasion to have its glory without stealing any thunder from the other. 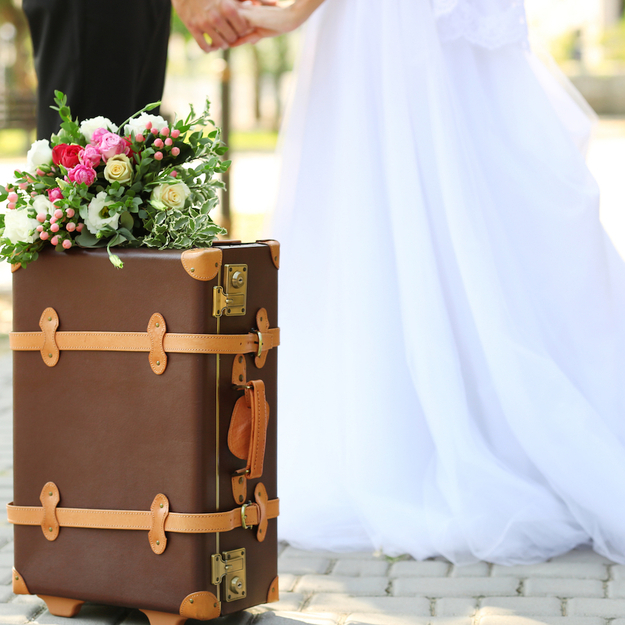 Waiting a few days or even a week after the wedding enables you to really absorb the celebration of your new marriage, while granting you the gift of time to rest, reflect, and, perhaps most importantly of all, pack. With all of the energy that goes into facilitating a smooth wedding, who really wants to toss packing for a once-in-a-lifetime vacation on top of the pile? Get your post-wedding ducks in a row: clean and store (or return) your wedding dress, settle up with the venue and any other suppliers, unwrap your wedding gifts, and send off your thank you cards. The sweet relief of heading off for your honeymoon free from any further obligations while still maintaining that fresh-from-the-wedding newlywed high is a(nother) lovely proposal. The dreaded limbo effect. While most everybody can agree that flying with a clear head is enticing, some couples might find that the days between their wedding and honeymoon can drag seemingly endlessly with anticipation. Besides, does anybody really want to spend their first few days as a married couple fulfilling duties? It might not sound like much, but allowing the post-wedding momentum to dwindle over even an added day or two can be pivotal. Work may pose an additional consideration, as most people opt to take a few days off to prepare for the wedding. Is there enough flexibility in your schedule to allow for those crucial days in addition to a gap period leading up to your honeymoon? Work, life, and wedding planning will likely fill the plates of any couple. Postponing a honeymoon - and the effort that goes into planning one - eases this overall load and allots a generous amount of time to focus entirely on putting a dream honeymoon together. This separation of time allows both the wedding and honeymoon to shine in their own respect. Plan your wedding, do it big, see it all the way through, and jump headfirst into the joys of married life (like making a home!). Once everything has settled, rekindle the fire by drafting the most fantastic honeymoon itinerary you can conjure. Travel with a fresh spirit, stay adventurous and trust that your trip should have no ceiling. A substantial amount of time to prepare for such a journey goes a long way in turning fantasy into reality, and the freedom of sorting through finances smartly while planning the big trip is always appreciated (even though your honeymoon registry will take much of that load off!). The untimely wear-off. While the magic of your marriage will still be going strong well into your first year as newlyweds, it can be difficult to recapture the sheer exhilaration of your wedding when opting for a delayed honeymoon. The result is that your honeymoon lacks the extra special aura which is all but guaranteed for honeymooners that depart closer to their wedding window. The fix? Consider a mini-moon. This option still allows proper time and planning for an eventual grand-scale honeymoon, while still capitalizing on the high from your wedding. Why choose when you can have the best of both, anyway?